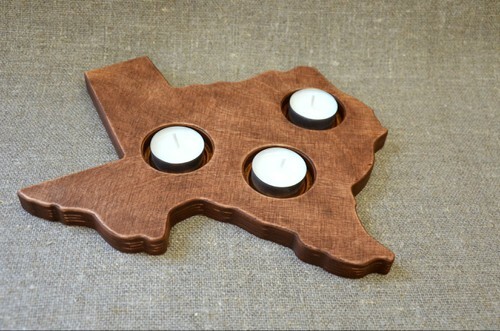 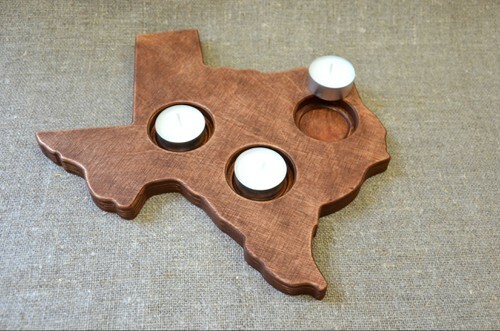 This wood candle holder is made in a shape Texas State. 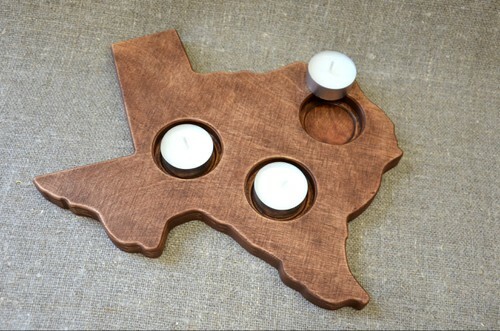 If you love patriotic and unique wood home decors, this is something so perfect for you! 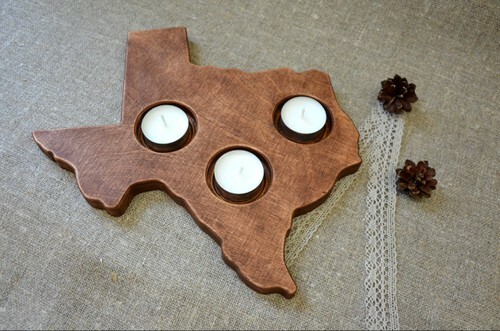 It will add a perfect touch to the rustic wedding table as well. 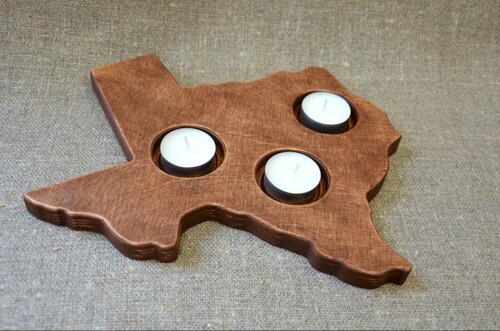 When placing an order please choose for how many candles you would like the holder to be as well as choose the shade of the candleholder (brown or cherry).